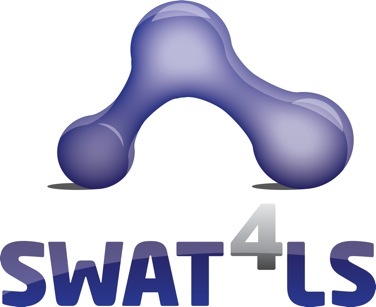 SWAT4LS (Semantic Web Applications and Tools for Life Sciences) will be held this year in Rome, Dec. 4th-7th. This year marks the 10th consecutive year for SWAT4LS, and this calls for a little retrospective on its history. That is this post, from my perspective as a co-organizer. I think the origin of the workshop can be traced to a Nettab workshop: A Semantic Web for Bioinformatics: Goals, Tools, Systems, Applications. 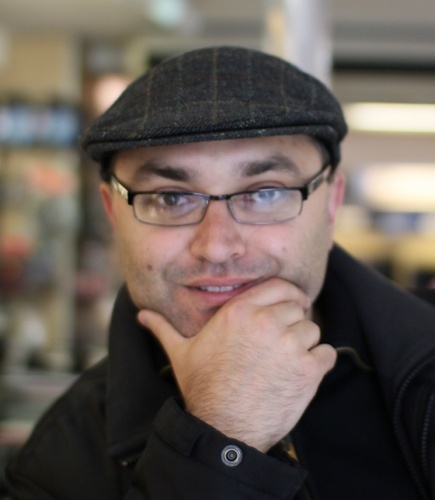 The following year, Paolo Romano, who was organizing Nettab, suggested to have a dedicated workshop and proposed the idea to Albert Burger and Adrian Paschke. The first edition of SWAT4LS was held in 2008 as a one day workshop in Edinburgh. Michael Krauthammer and Mark Wilkinson were our first keynotes (a special issue in BMC Bioinformatics captures a selection of the papers presented). The next year the workshop was held in Amsterdam. M. Scott Marshall joined as a co-organizer for the event and remained onboard since then. We had keynotes from Barend Mons, Alan Ruttenberg and Michael Schroeder. Selected papers were this time published in a special issue of the (then) novel Journal of Biomedical Semantics. In 2010 (Berlin), we expanded the format of the workshop to three days, including one day of tutorials and one day of hackathon. The workshop was endorsed by W3C and we had once more a followup special issue in BMC Bioinformatics. Keynotes were Jonas Almeida (who also lead the hackathon) and Christopher Baker. In 2011 I lead the organization of SWAT4LS in London. This time we tried to expand the focus of the workshop a bit beyond its core topics. We co organized the hackathon with the OKFN (Open Knowledge Foundation) and JISC. We invited Douglas Kell (then BBSRC director), Tetsuro Toyoda (RIKEN) and Wendy Hall as keynotes. On the logistics front, we experimented with a different format, having tutorials and hackathon in a different location than the workshop (respectively UCLU and Welcome Trust). From this year, we also tried a more regular approach to publications, by starting a thematic series in the Journal of Biomedical Semantics (then shared with the CHALS conference series). In 2012 I once more lead the organization of the event in Paris. Striving to have a program mixing our core public and new perspectives, we invited as keynotes Mark Musen, Christie Golbreich, Frank Gibson and Marie Ann Martin. This time we co-hosted the Hackathon with an OpenPhacts hackathon. In 2012 we also organized a school in Aveiro, thanks to the support of Pedro Lopes (we ventured into new topics as crowd-sourcing and User Interaction). In 2013 and 2014 we held the event again, respectively, in Amsterdam and Berlin. In Amsterdam, we invited as keynotes David Kerr from IBM Watson Healthcare, Frank Van Harmelen and Kerstin Forsberg (expanding our attention to industry). In Berlin, we had as keynotes Andre Dekker, Stefan Decker and Maryann Martone. By this time the focus of our workshop shifted from life sciences to incorporate more helthcare related topics. 2015 had been a transformational year for SWAT4LS, on several fronts. First, the format was extended to 4 days, now including a 2 day conference plus 2 days dedicated to tutorials and Hackathon. For the first time, we delegated the organization of the event, our local organizers and chairs being James Malone and Robert Stevens. The event, co-organsised with EBI, had the biggest attendance to record. Keynotes were provided by Bijan Parsia and Melissa Handel. On another front, we formalized our organization in a foundation (SWAT4HCLS: Semantic Web Applications and Tools for Healthcare and Life Sciences). Until this year, the local host was usually responsible for the financial and logistics aspects of the workshop. In 2016 we once more hosted the event in Amsterdam. This year we had as keynotes Amos Bairoch, Martin Hoffmann-Apitiuts and Dietrich Rebholz Schuhmann. The hackathon was now held in connection with the civic hackathon and jamboree. A few refections to conclude this (long) post. I think the most important thing for an event like SWAT is the community. I hope our role helped to nurture it a bit by expanding it and connecting it to new ideas and people. It’s a lot of work to organize and event like SWATLS! We always run this as a non for-profit activity. On one side I think this helped us to achieve a quality event respect to content and participants. On the other side, we didn’t always manage to have a timely organization of the event, and I think we can just apologize for the delays we incurred with our later special issues. I would be curious to hear any feedback or suggestion you have for the future of SWAT4LS!